A Visit To The Warm, Friendly, And Terrifying Set Of PET SEMATARY | Birth.Movies.Death. Hollywood has Stephen King fever and you can see it pretty much everywhere. We have the big IT conclusion coming up, Scott Derrickson is making Firestarter, there’s going to be a big The Stand TV show, and The Dark Tower is now a multi-film, multi-series hit solely in my and Scott Wampler’s mind. 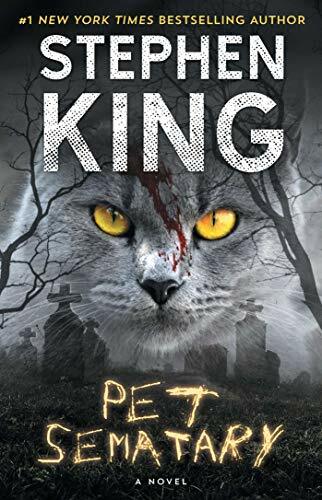 But before all that, we’re going to get Kevin Kölsch and Dennis Widmyer’s new adaptation of Pet Sematary. Adapting this particular story comes with a lot of challenges. For starters, it’s one of King’s most beloved books, and people stand a good chance at being disappointed if they don’t pull it off. Which leads to another challenge: King’s book is not exactly a crowd pleaser. It’s a super grim story almost certain to send audiences out on a sour note. The urge to soften the text would be understandable, if unfortunate. And finally, we already have one Pet Sematary movie. We can argue all night long about whether that film can be improved upon, but the real battle is going up against its undeniable iconography. Especially for people who grew up around its release, Mary Lambert’s Pet Sematary is a film with imagery that’s going to be hard to replace in the minds of viewers. And yet, everything I saw and heard while visiting the rural Canadian set last July set my mind at ease. However this film turns out, Kölsch, Widmyer and the cast certainly put a lot of effort into making this adaptation their own as well as something special in its own right. The book takes place late summer into like fall, and that's it. It's really that sudden, that transition into another season. It's also one of his shortest novels, you know? So not a whole lot really happens in the novel as far as action moving story forward. It’s about this family coming to a place and this terrible season they go through. So our whole thing was pace it out like that. Don't pace it out like a horror film. Pace it out like a family drama that has horrific elements to it. You know? I think the best horror really should be approached that way. You shouldn't approach it like you're making a horror film. You should approach it like you're making tragedy, or like a domestic drama with horrific elements in it. There's a lot. I've read it eight times. I really enjoy the book. You can just pick up a little piece, and just refresh that piece with it before you go and shoot a scene. I can do that, because I've marked the pages in the book, where I can say this is my reference point before the scene. One of the things that I talked about with the directors is that she can't be crying all the time. From day one, she has trauma from her past, but she can't just be traumatized all the time. She had two children, so she got through the trauma of childbirth, [Louis] stayed with her, they're married. So at some point, she's had to have moved on, and carried that pain with her. So she can't constantly be reliving the whole trauma. I think she's just tucked it away. And in addition to that, because it deals with grief, this is what I find in Stephen King's [novel] as well, is that the only way that we actually understand the extremely darker places or the really horrific places is if you can kind of see or be able to explore the lighter places, because there's no reason to be scared and there's no reason to feel lost, if you experienced what it is to have lightness. 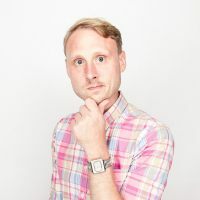 I love horror that is played for a completely authentic, human emotion and to me, because it's a family story and everybody has a family, everybody connects with either a parent or child. It just seemed to have this emotional foundation to it that could really take people to a cathartic place. To me, even a perfectly accurate accent draws attention to itself. People are familiar enough with me to know when I'm putting on a different accent from myself, and I thought he should have a country quality to him but, the old down east accent, I coulda' had a dialect coach and I coulda' worked mighty hard on this accent! And it would have immediately taken me out of the story. I thought it was so important for people never to be taken out of this story, not for a second. The grounded approach was reflected in the scenes shot during our visit. We saw one short bit (which you can see in the first trailer) of the Creed family arriving at their new country house for the first time, interrupted by the loud passing of an ominous Rinco semi truck. Meanwhile, the second scene we saw was a quiet, slow chat on the porch between Louis and Jud as they drink beers and talk about their families, or lack thereof in Judd’s case. The scene was filled far more with melancholy than notes of horror. But the film will have horror. We weren’t able to see this iteration’s version of Zelda, and we weren’t supposed to see this version’s iteration of the unfortunate Victor Pascow (played by Obssa Ahmed). In the latter’s case, however, we were treated to an illicit gander when the actor showed up in full makeup to eat dinner the same time we did. The combination of surprise, highly detailed gore and the food in front of me made my stomach turn. When the time comes for this movie to be gruesome, I don’t think it will disappoint. It’s going to be very exciting to see how people respond to this film - on its own terms and against their own nostalgia. We could kind of tell on set that Gage wouldn't be the kid hit by the truck, but I'm still shocked they've given that over to a trailer reveal. Nevertheless, Kölsch and Widmyer are making the most out of their opportunity to bring some real horror to theaters this spring and everyone else, from the cast to those creating its practical effects, appears to be on the same page.